At Tinder Foundation, we strongly believe that libraries have the potential to help us close the digital skills gap, and even reduce social inequalities. Last week 100 library professionals and stakeholders met in Sheffield to discuss the challenges and barriers libraries face, and to share best practice models of partnership, community engagement, and practical delivery. The discussion ranged from library governance models to working with SMEs, loan schemes for digital devices, to working with jobseekers, volunteer management to mobile technology and outreach. Wednesday’s Libraries Delivering Digital Inclusion event followed the launch of our recently released Library Digital Inclusion Action Research Report, which looked in-depth at how library services can utilise their local position and connections and galvanise basic digital skills within communities. And some of the library services which took part (Leeds, Cumbria and Newcastle) were on hand to talk about their projects, demonstrating the important role libraries can and do play in closing the gap in digital inequalities. Other contributors journeyed from across the country to lead on wider group discussions with delegates (Libraries Unlimited (Devon), Manchester Library Service, and Derbyshire Library Service). 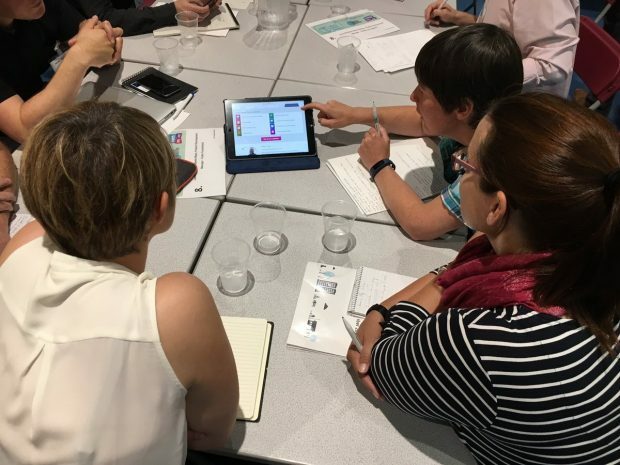 The event allowed us not only to share practical advice and inspirational stories from across the Library Online Centres network, but to draw out the key themes that seem to make digital inclusion in libraries really work. We explored some of the very real challenges facing libraries. In our growing digital world, this means libraries are having to deliver more digital services, and there’s no pretending that’s not a significant challenge in the face of cuts and closures. It’s especially difficult when local authorities are also increasingly looking to libraries to reach out to those with least digital access and least digital skills. For some libraries, channel shift has actually been an opportunity to really demonstrate and evidence that they’re more than just books to funders, partners, councils and councillors. 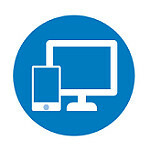 Partnerships with trusted intermediaries, such as other community-based UK online centres, were found to be useful in extending libraries’ reach to new and excluded audiences, and the use of volunteers appears crucial in stretching services to cover more people in more places. That partnership with other local UK online centres for some libraries is the difference between reaching excluded people or not. During the event I was involved in a number of discussions on the extent to which libraries can measure, monitor and evidence their digital inclusion activities. Many used Tinder Foundation’s data collection and analysis systems on the Learn My Way learning platform, and using the Capture IT tool. Through the easy collation of this data libraries are evidencing their successes, and demonstrating the value they added, establishing themselves in the minds of stakeholders as going ‘beyond books’. They’re also securing future investment and support. We’ll be summarising and sharing all the discussions from the day in due course, but what the day demonstrated to me was that libraries are an important part of the local community that can deliver digital access and digital skills. Search #digilibraries for a flavour of what was covered. Digital skills cannot just be seen in isolation - digital cuts through every aspect of modern life. Digital skills are now key in education, financial and information literacy, supporting small businesses, combating social isolation and promoting community integration, helping people find work and do jobs, use of digital health and social care services, accessing benefits, applying for social housing and school places - to name just a few. At Tinder Foundation, we want to help more libraries do more with digital. And we believe that events like this one, where libraries can come together to share, and learn and disseminate, are the way to spread the message, and in the end, a way to both prepare and protect our libraries for the future. 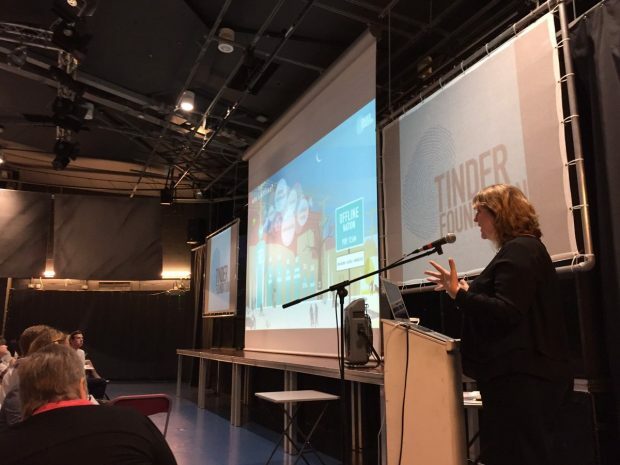 As libraries make up half of our UK online centres network, Tinder Foundation is committed to ensuring libraries, as well as community organisations, have the support and resources required to effectively deliver, evidence and advocate their digital inclusion work. We will continue to improve and promote our support for libraries delivering digital inclusion for existing and new members of the Library Online Centres network, including through the new look Learn My Way, training opportunities, funding programmes, and wider network support to advance and promote the great digital inclusion work which libraries are undertaking. If you’re not part of our network - we’d love you to join us. Just email hello@tinderfoundation.org. We’d also love you to just join the discussion - come and talk to us, library and information professionals and people from library professional bodies on the Digital Libraries Hub.